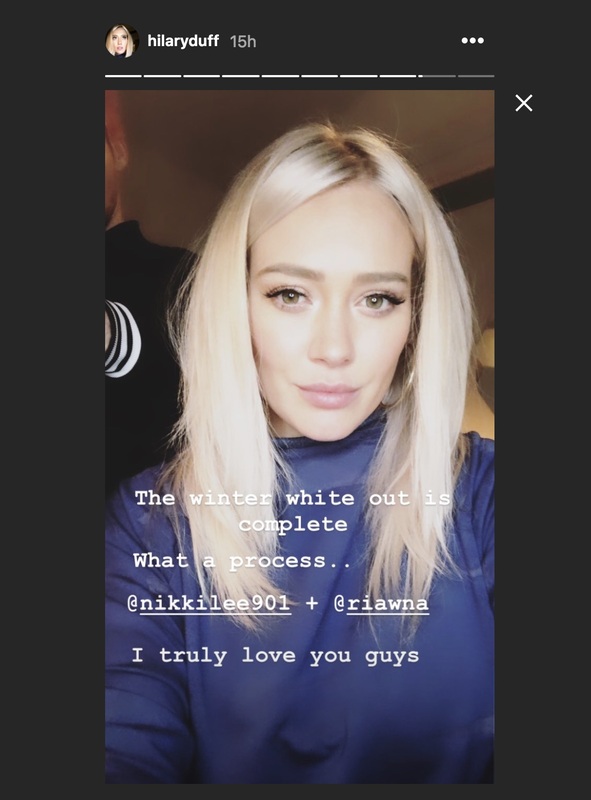 Hilary Duff has had a big year. 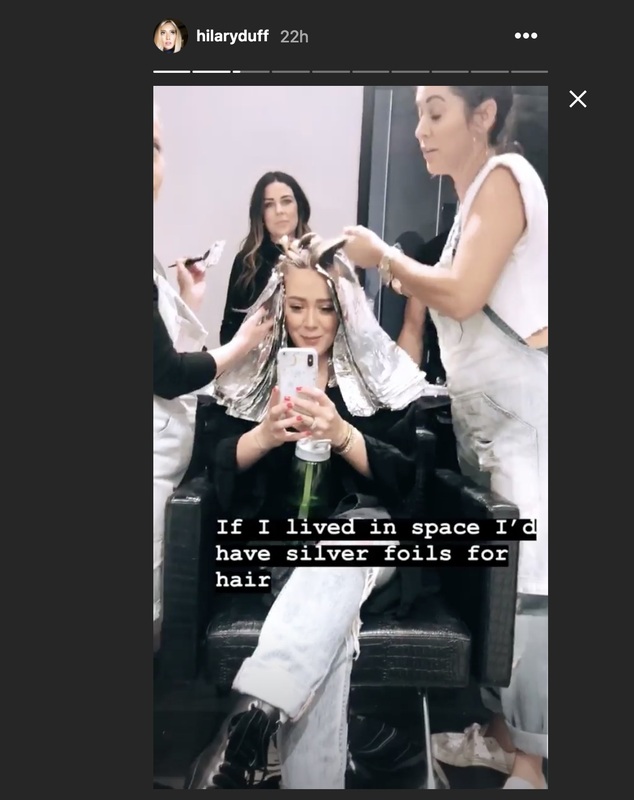 She and partner Matthew Koma welcomed daughter Banks Violet Bair into the world on October 25th, and now, she’s just debuted a major hair transformation. 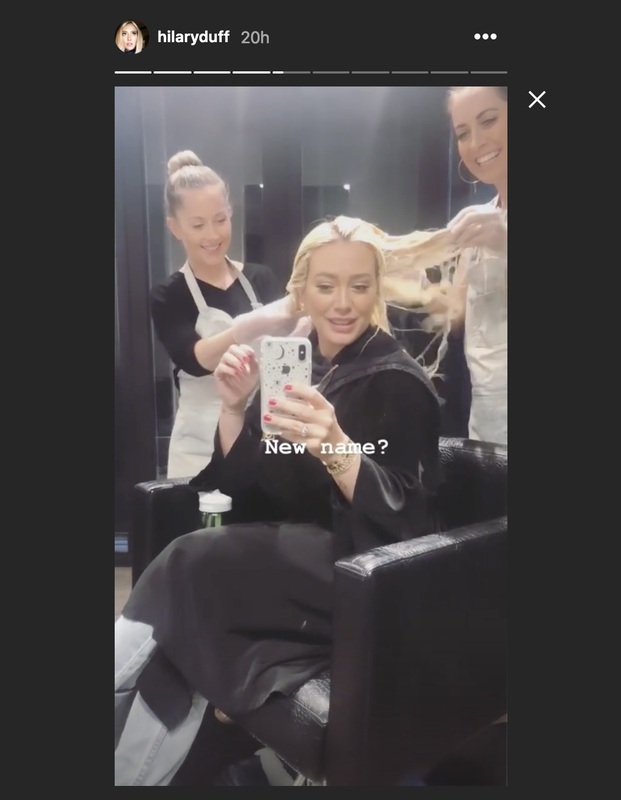 The Younger star, who has been sporting dirty blonde locks with dark roots for several years now, just dyed her hair an icy platinum blonde. 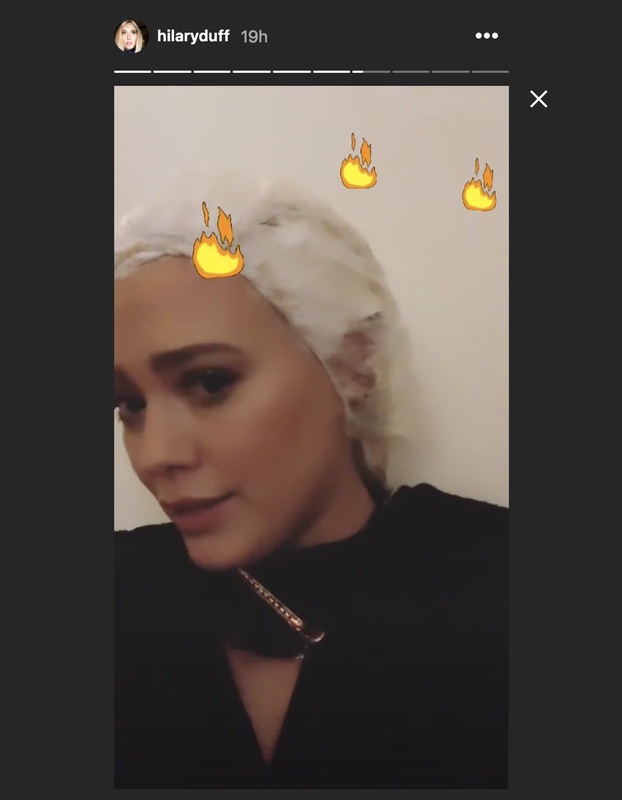 Lucky for us, she documented the entire epic process on her Instagram Stories. It all started with foil. Lots of it. 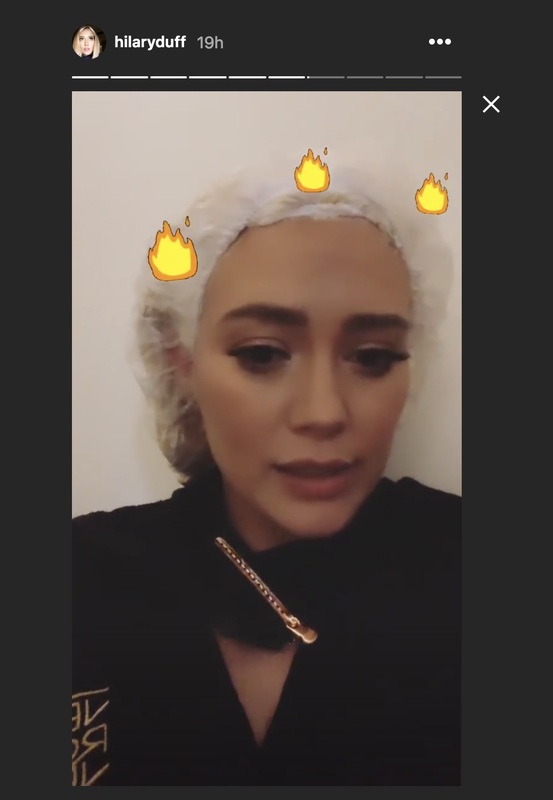 Which then turned into a waiting game, during which Duff said, "This feels like hot flames on my head. Whoever bleaches their hair all the time knows what I'm talking about. This is horrible." Then there was an initial unveiling. And finally, the “winter white out” masterpiece. Duff was sure to thank the team who made the arduous change up possible, Nikki Lee and Riawna Capri. They deserve it, because this hair looks GOOD.